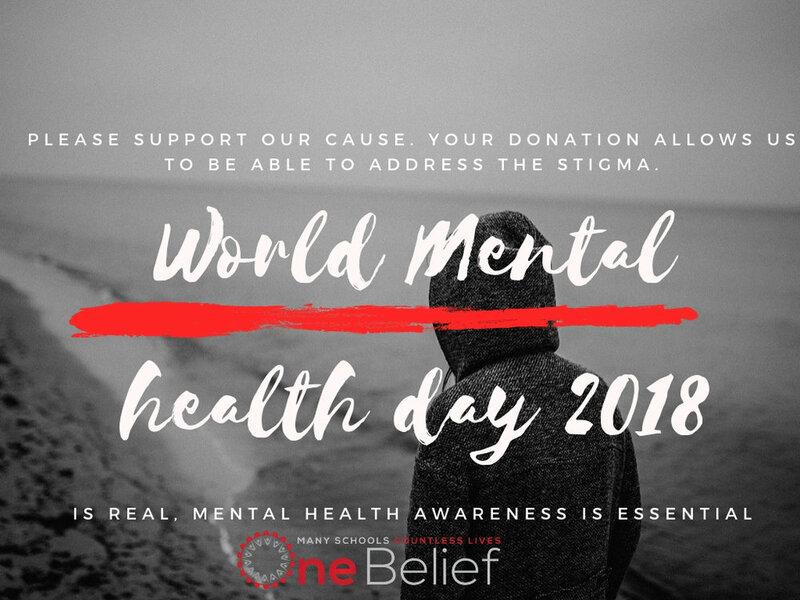 World Mental Health Day — One BeliefMental Health Awareness; Mental heath; what is mental health; Mental health awareness week; mental health awareness month; All lives matter; School safety;Keep Our School safe. Many Schools, countless lives, one belief. Conflict resolution; diversification inclusion. 1. Reduce conflicts and confusion in your life! conversations, get what ever done just reduce it! 2.Seek to understand and not just only be understood. You feel how you feel, holding on to it doesn't change that. you with any anxiety you may / could experience! 5. Be proactive and forward thinking not reactive. Remember to stay focused on what the issue at hand is.